My fiance and I followed everything that Fred told us to do. It made the immigration process go very smooth. There were no problems along the way and she arrived in a very short time. With Fred there will be no mistakes or delays. 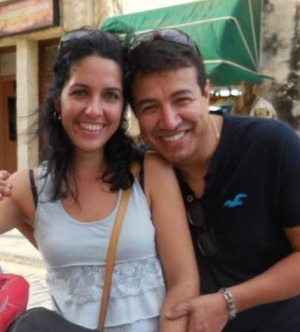 Fred made the daunting K1 visa process simple and stress free. He provided prompt answers to all of our questions which we had no shortage of. He provided easy to follow instructions for every step of the process and made sure we had everything we needed when it came time for Erika's interview. We were very confident that Erika's application would be accepted because of Fred's thorough front loaded approach, in fact, the consulate officer said we had more than enough information and it made her job much easier. We are very thankful for all the help Fred has provided us and will definitely be recommending him to our friends. I just want to say again that we are so thankful for your help! I was blown away when I got the final package of the petition we would submit to USCIS. It was organized so professionally and put together way better than I would have done on my own. It inspired the way I organized all the paperwork I sent to my fiance for his interview. His interview was only 10 minutes and they only asked him four questions. All the Checklists Fred provided us kept us so organized and was vital for gathering everything we needed. Thank you for replying to every email I sent, answering all our questions, even when we asked them more than once because we were so anxious. We could not have done this without you! Cynthia and I wanted to thank you both so much for everything. Because of VisaCoach Cynthia And I are living happily together in the States. You both have been there for us by answering our phone calls, returning our messages,and helping us with any questions we needed to ask. We have recommended you and your lovely wife to other people, and wouldn't recommend anyone elsewhere but to VisaCoach.To everyone,and all the couple's around the world to you have already helped. I hope they are as happy as we are today. Thank you Fred and Joyce from the bottom of our hearts. I hope one day we can meet to thank you in person, or to return the favor. Our application with Fred required two waivers. Fred and his staff did a professional job putting together our application. Fred was always able to talk when I called and answer all my questions professionally. Thank you Fred and everybody involved for all your hard work. I write by way of an update to my visa interview which I attended on 17 January 2019 at 09:30am. The interview went well and it appears that your 'front-loaded' designed application was well received by the embassy officials. I say this as, apart from requesting particular documents, I was asked few questions. Thanks to the FAQs you suggested Traycie and I acquaint ourselves with, I was able to answer any questions comfortably. I am pleased to confirm that today I received my passport enclosing the K1 visa together with a US immigration packet. Regardless of the outcome, Traycie and I wish to thank-you (and your wife?) for your professional, prompt and excellent service. Needless to say, we are delighted with the successful result. 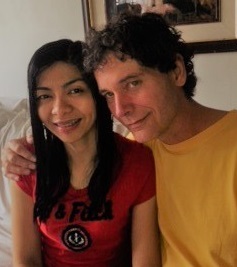 Marife and I want to thank you for making our dream come true to be together as husband and wife here in the USA. In April of 2017 my fiance sent me a video from You Tube about Fred Wahl-Visa Coach. I viewed his presentation and immediately called Mr. Wahl. He sent us the instructions on how to get started on the K-1 visa. He said it would seem difficult in the beginning but would get easier as we went along. He was right. Fred and his staff was there for us during this process for all our questions and situations that came up and smoothed them out in no time. From late August, 2017 when USCIS received our excellently prepared front loaded petition till July 3rd. 2018 when my fiance landed in the USA it took about 10 months. Well within the time frame that Fred told us it would take. 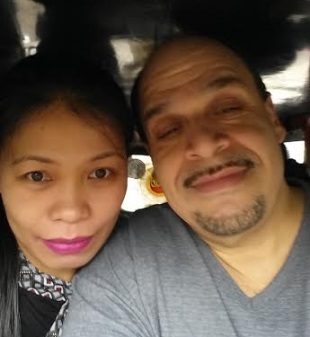 My fiance's interview at the US consulate in Manila was about 15 to 20 minutes long and approved because of Fred's well prepared front loaded petition. She was never even asked to open up her folder of evidences that she had with her. 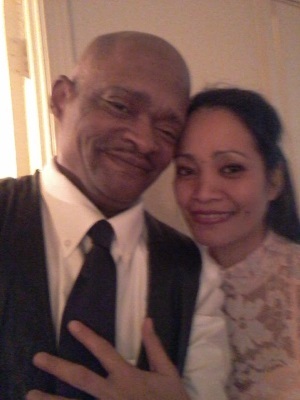 We are now married and living our dream here in New Jersey and have begun our AOS petition with the help of the VisaCoach and his staff. We strongly recommend using VisaCoach Fred Wahl's services to make your dreams come true like ours. I do have to admit going into the consulate or the immigration services department was a little intimidating because the security was very stern. After we were searched just like we were going into a courthouse or airport I was relieved finally for my family to get in. I still had anxiety because waiting for my number to be called was a testament to how long I have been waiting for my wife and Chester. But, at the same time in my head I had a feeling of security as well because Fred Wahl was and still has always been very helpful throughout the process. I think I annoyed him how many times I called him asking the same questions over and over again. But, he was always very professional and to the point. When we got into our interview I was looking at the novel Fred put together for us lol, with the officer knowing she read every page she was very kind smiling and asking if she could ask some questions. She asked if we had government assistance like food stamps? She asked if Joyce ever has been arrested here or if she in the Philippines or Dubai? And some other questions I can't remember. She took fingerprints from them and it was overall a good experience because she had already felt like she knew us from our file that Fred had put together. We are so grateful for Fred and Joyce being patient so patient it would not have taken as long as it has if I wasn't so pessimistic. But, now we will be going to Fred throughout the process. We got back from the embassy a few hours ago. The interview went really well and the CO according to my wife kept saying how impressed he was with the way everything was put together. He 'welcomed' her the United States and said she will be notified when her passport is ready for pick up. Just as you had anticipated, he barely asked any questions since all the documentation was intact. Thanks to your team for the great work. Melanie and I just want to thank you so much for your assistance in helping us. Melanie and daughter just received their PERMANENT RESIDENCE APPROVAL. I highly recommend your services. You have walked us through every step of the process and were quick to answer any of our answers or concerns. I look forward to the final of their US CITIZENSHIP. THANK YOU!! One of the most valuable decisions we made as a couple was to process our Fiance Visa application through VisaCoach. Our experience was so great with Mr. Wahl. He is very organized, up-to-date with immigration information, available anytime for the question and always open to answer questions. Our file was well put together by VisaCoach that our immigration officer barely bothered to ask us any questions. 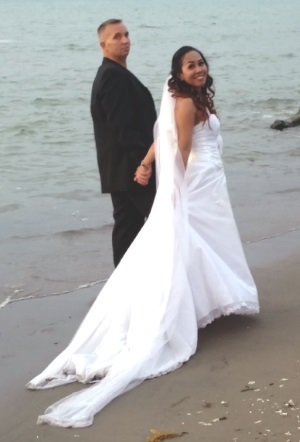 I am so happy that we chose VisaCoach and now I am have my soul mate with me forever. Richelle and I started the process with Fred Wahl/The Visa Coach in early 2017. From the time we filed to the time we landed in San Francisco Ca was a 9 month period. With the instruction of Fred Wahl/The Visa coach and professionalism the process was as stress free as possible. All instructions were given in as simple format easy to follow instructions where all the thinking was made simple. Fred always followed up in a timely manner with any questions we may of had. 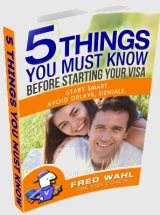 We highly recommend Fred Wahl/The Visa Coach to anyone who is interested in starting the process. Interview was about 10 minutes. The waiting was longer due to the amount of people waiting for interviews. We are so happy that we stumbled upon Fred's YouTube and decided to use his services. There is no way we would have been able to do this on our own. Fred made the whole process simple and straightforward. 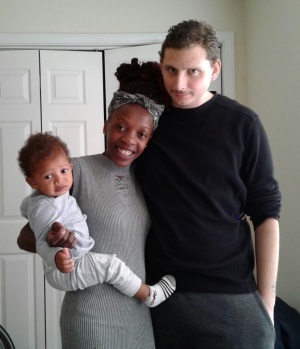 From our initial phone consultations where he would call us in the UK, to checking how our AOS interview went after moving to California, Fred and his wife were always ready and available to walk us through any questions or concerns we had. Fred prepared us for each step and eased any anxieties prior to the in-person interviews. We went in confident and well prepared without a single hiccup. Thank you so much Fred and Joyce! We want to share our deepest happiness and shared our experiences during this event in our life. 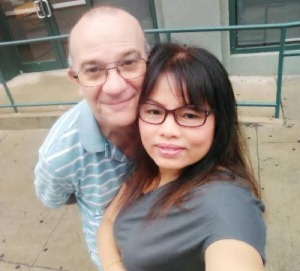 I am so pleased that my husband have chosen your service and as a result of your very organized, well detailed preparations and your very clear and precise step by step instructions in all our paper works which leads us to a successful immigrant visa approval! We appreciate your all time support and quick turnaround in accommodating all our questions each time we have doubts and confusions. Thank you Mr. Fred Wahl & Joyce! The final interview went very well because of your help with preparation beforehand. My interview with the Consul takes only 5 minutes. After looking through our prepared paperwork they asked me only, maybe 5 questions about our relationship that consisted mostly about my husbands family. I was pleasantly surprised that it went so fast and smoothly. Again we are very thankful for your services, and looking forward for your assistance in Adjustment of Status (AOS) to permanent residency. The instructions and time frame was accurate, during the final process, now I'm here in the USA and enjoying a loving life with each other here in the great state of Wisconsin. We are highly recommending Fred and Joyce services and again our heartfelt thanks for all your help. God bless you all. We really thank you Fred Wahl, for hard work in preparing our package,the process was mostly stress free. And now we are happily married. We would like to start the adjustment of status, and again we thank you. My wife and I would like to thank Fred and Joyce for the knowledge and professionalism. The Visa Coach knows exactly what he doing,he took my wife and I through the process,and prepared us thoroughly. The Visa Coach was upfront and honest about what to expect, and any questions my wife and I had, he answered with no problem. 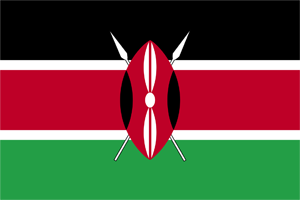 The adjustment of status was a bit of a wait but whenever there was an update in our status the Visa Coach would inform us immediately. My wife and I are grateful for all of his hard work, we highly recommend his for handling your immigration needs,thank you. We are very thankful that we found Fred Wahl and hired him to assist us with our K1 and AOS process. His guidance and expertise made the process go smoothly and simply for Jarod and I. Most especially for me, his thorough assistance made filling out the paperwork so much easier. This helped me feel more confident about my Visa interview, knowing that I am going there ready and prepared. He was also patient with the last minute changes that we did and the questions that we had. Thanks to his efforts we were able to get through a very complex system with minimal difficulties and end up together. I saw VisaCoach while I was researching what I would need to do to bring my my now wife to the United States and was skeptical at first because I thought it could be a scam. But there was a phone number to give Mr. Wahl a call for a personal consultation so I did. Let me just say deciding to work Fred and is wife Joyce was one of the best decisions I've ever made. They were always there and ready to help by phone or email with the process and my million questions. I have poor signal, service and internet 3 weeks out of every month due to my job, and knowing that Fred was there helping with such a perfectly structured package and service helped my wife and I get through the months of waiting and paperwork with a peace of mind. I would highly recommend VisaCoach's services and look forward to continuing working with them on the Green Card process and anything else that comes along during this journey. Thank you Fred and Joyce for everything you've done for us so far. It is appreciated more then you know every day. Danny and I are very grateful to Fred and Joyce. We are so happy we asked your help in our K1 and AOS process. You have awesome insight and your expertise to this process is a huge help. Fred and Joyce are extremely thorough and transparent. They walked us through everything and always available for any questions we had. We are highly recommending Fred and Joyce services and again our heartfelt thanks for all your help. 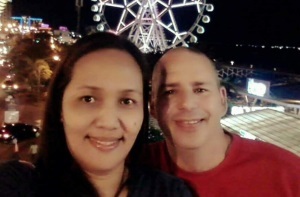 I am happy that you are our visa coach during our process for Cr1 and to my daughter Cr2 (from Philippines). You made everything easy for us because you guide us in every steps, and whenever we get confused we can always ask questions to you and your wife joyce.And you always reply and i am happy for that..
We couldnt have done this without you, that's why when some of my friends or somebody asked me how did we do our process I always recommend (Fred Wahl The Visa Coach)you because you did great and we are proud that you are our visa coach . And finally for 5 years being on and of Long distance relationship we are now together.. Thank you so much for everything. God bless u! 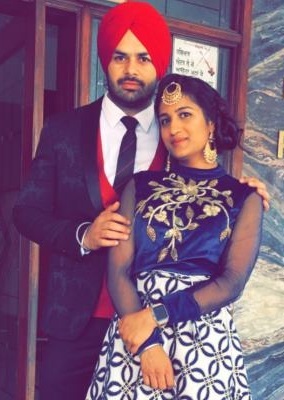 I want to take this opportunity to thank you so much for all the help you gave us in bringing my fiance here to America with me so we can marry very soon. 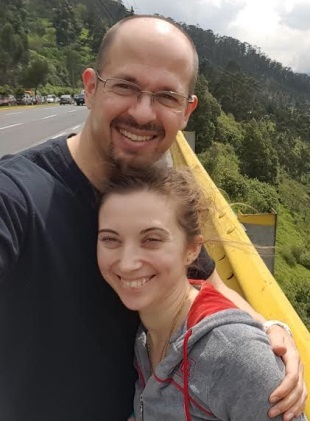 Even though she did not arrive here during the summer months like we had wished (due to technicalities with foreign embassies) you and your wife have helped my fiance and I to realize our dream of finally getting married and for that we are eternally grateful. Please keep up the excellent job of helping couples to fulfill one of life's greatest blessings. Thanks again and God bless you all. Awesome News. I received the "Permanent Resident Card" today. Danny and I are very grateful to Fred and Joyce. We are so happy we asked your help in our K1 and AOS process. You have awesome insight and your expertise to this process is a huge help. Fred and Joyce are extremely thorough and transparent. They walked us through everything and always available for any questions we had. Hello from Brian and Oghenetega! 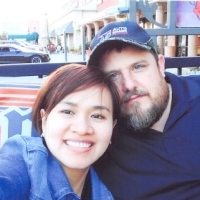 We would like to thank VisaCoach for a great customer service and also for doing a good job on assisting us in getting our fiancee visa. It is a great way to expedite your process because they will make sure that the documents are complete to avoid delays. My visa got approved August 2018 and my visa was ready for Collection in 3 days, am currently in the State with my soon to be husband. The long wait is only for the NOA2 which took us about 7 months but after that, everything went smoothly and fast. The interview didn't take up to 3 minutes with just few questions. Again, I would like to give a huge thank you to VisaCoach team for helping us all throughout the process. God bless you all and Good luck to those who just started applying for their US Visas! 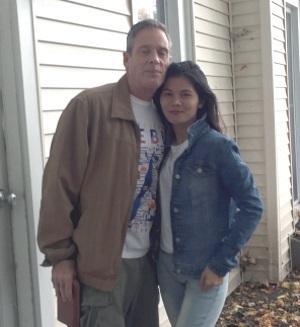 I decided to get my fiancee from Philippines and bring her in USA and live together here but i didn't have any idea how to do it. I was looking for an agency that will handle our paperworks and upon reading the reviews VisaCoach got my trust! I called and inquired and spoke with Fred. He is very helpful from the very beginning Fred told us that the wait could be 6-7 months and he is right, 7 months my fiancee got her visa on hand and we fly together. I was very impressed on their work! During the interview the interviewer only asked 2 questions, it was very quick and easy! very EASY because of their front loaded petition. We highly recommend VisaCoach! they really know what they are doing and answer your questions very quick. They will really help you step by step and make you understand how to do it ! Some want to save money and do it by themselves but they got RFE and the process got delayed or even worst they got denied. I'm very thankful to the help of VisaCoach for helping me bring my fiancee here and now she's my wife! We are using VisaCoach in filling our AOS because we are very satisfied on there works. Hi Fred, we just wanna say thank you for helping us without your helped maybe we can't do these. We really appreciated the best service that you had done to us. We're looking forward for our next move changing our conditional status. Have a good day! I was lucky to find Fred wahl on search engine when i was overseas back in 2014, My wife made the call and we were impressed by the customer service... their fee was so cheap for the great work they do..they answered all our questions about K1 visa and what we suppose to send them...not just that they were really fast to send us back box with all our documents organized and highlighted all what we had to do just signed and write check for USCIS. 6-8 months later i was given the k1 visa to come to join my wife here in USA. After we got married i applied for green card and with the help of Fred Wahl few months later i was given 2 years green card without an interview....Fred wahl made really strong file for us and the same thing happend after the two years was up i applied for remove condition i797.....After 13 months i was given the permanent residency Without AN INTERVIEW for the second time even with Trump in the office. Now I'm going to continue my Journey with Fred Wahl applying for the citizenship through naturalization. 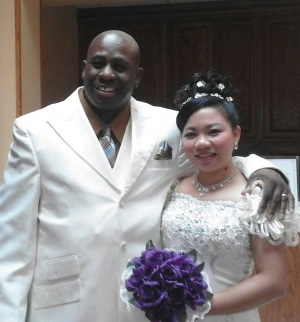 We have been working with Fred since we decided to apply for a Fiancee visa 2 years ago. 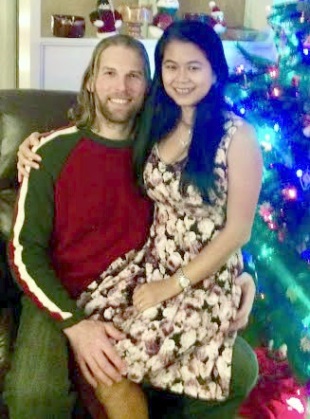 He helped us through the visa process, and my husband finally moved here in August 2017. When we knew we would be applying for his adjustment of status, EAD, and advance parole, there was no doubt in our minds that we would hire Fred again! Fred helped us prepare the petitions and gather all related evidence that would help the case move along smoothly. We submitted our package to the USCIS on January 18th and we received the employment authorization and advance parole on July 5th. We attended the interview on July 24th, and he received his green card! Having Fred help us prepare and track our case made it so easy and stress-free for us, and We will absolutely work with him again for any future immigration paperwork! Thank so much to Fred and Joyce at Visa Coach! We could never have done it so quickly, as easy and free of stress without you. Every step of the way your efforts and knowledge proved to invaluable in preparing us as we navigated through the sometimes overwhelming process. Thank so much to Fred and Joyce at Visa Coach! We could never have done it so quickly, as easy and free of stress without you. Every step of the way your efforts and knowledge proved to invaluable in preparing us as we navigated through the sometimes overwhelming process. A word Kelly and I have often joked and laughed over the past year concerning different things which had finally came to past. And we are both very thankful for the Visa Coach! We can't thank him enough and are very thankful we found him and choose to ask for his help. Although it took a bit longer than originally expected, due to Trump's tightening up immigration practices, we both have no doubt the Visa Coach is the reason we made it through the process smoothly. Thanks very much Fred and Joyce. Thanks to your support Mardy is finally here with me. Yes, it took time and patience but all our work finally paid off. I couldn't imagine going through the process with your support and knowledge of all the legalities and insight of all the procedures. The final interview went very well because of your help with preparation beforehand. The total interview lasted about 30 minutes. After looking through our prepared paperwork they asked Mardy only, maybe 5 or 6 questions about our relationship which consisted mostly about my family and previous marriage. Mardy was pleasantly surprised that it went so fast and smoothly. She was expecting a long process of questioning which I'm sure it would have been without thorough preparation. We were married on June 5th in the mountains of Penrose, NC and now in the process of enjoying being together while getting her settled in here in the U.S.
Cynthia and I can't thank you both enough for everything you have done for us.. There just ain't enough words to express our love and gratefulness for the both of you. Not only do i speak for the two of us. But for everyone you have helped in the past,, as well as the ongoing case's you have in front of you. Thank you so very much from the bottom of our hearts.. May God be with you,, and everyone you have helped to make there dreams come true. I want to thank you for all that you have done. 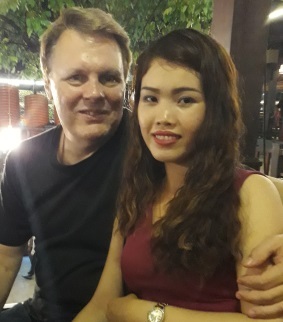 The process for Kannika's K1 Visa went very smoothly (Except for the waiting period the Application was at USICS) Once USICS approved the initial application the process definitely kicked into high gear and it only took 45 days for NVC and the Consulate in Bangkok to complete the process. Throughout the process you were always available to discuss the questions that I had and the "Front Loaded" package definitely made it go without a hitch. I can not express my thanks for all your assistance and look forward working with you on the Adjustment of Status for Kannika. It went wonderful. Marife's visa application was approved. Thanks to a great job by you putting together a great package and guiding us on what to write and helping us getting the right things to send you. And you were also right about us having great evidences because the total time she was with the visa counselor was about 15 minutes total and her visa was approved. Thanks again Fred for all your help with this process. I know it's not over yet but with your help our getting together, getting married and all the stuff we need to do in the future, it will be a smooth process. Thanks again Fred and I will keep in touch. If I'm being honest, when I first wanted to begin the process to bring my fiance over to the USA, I had no clue where to start from. When I looked for information on the USCIS website, I felt frustrated because it was almost as if the process was written in another language that I didn't understand. After doing some more research on YouTube, I luckily came across one of Mr. Wahl's videos. He quickly gained my trust after the very time that I spoke with him over the phone and it was right then in there that I knew that hiring his services would be the best decision. I wasn't wrong. 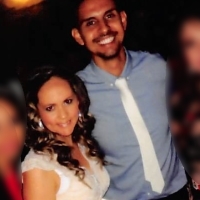 He put all his knowledge into my case and guided me with detail step by step throughout my K-1 Fiance Visa process. Every time I e-mailed them, Mr. Wahl as well as Joyce were always there to answer any of my doubts quickly, making USCIS' processing times the only thing I would have to stress about. My fiance's embassy interview lasted a little less than 10 minutes with only a few very basic questions and I have no doubt that this was due to Mr. Wahl's excellently crafted front loaded petition. 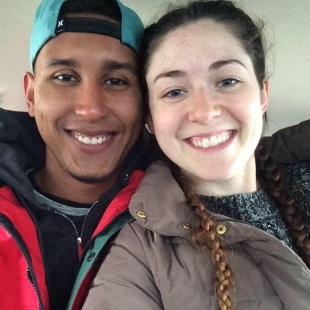 I can't wait to start my life beside my lovely fiancee here in the USA and without a doubt I will be going back to Mr. Wahl for assistance on the Adjustment of Status process. In times where immigration laws are getting so strict, there is no way I would recommend anyone to go through such a process on their own. Do hire Mr. Wahl's services for a smooth process to approval. Thanks a whole bunch to Joyce and Mr. Wahl!!! We knew as we embarked this journey it would be hard. 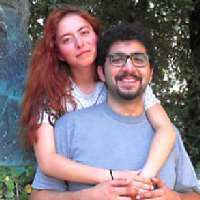 When we were referenced to Fred we took immediate action in processing Cristina's visa. 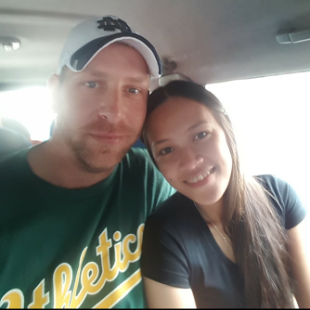 He was very informative and thorough of what we needed to do, and what would help us have better success and rapidly process her visa. He prepared our petition so professionally and confidently, which gave us great comfort. Like anything else in life, nothing great ever comes easy. This process is very taxing on the mind, on the financial demand, and sometimes the physical aspect. But with Fred's help we were able to feel relief and confidence. Cristina and I are very pleased that we chose such a knowledgeable man to direct us in our plea. Fred made the process so clear that there was hardly room for questions. He laid it all out , so to speak, on the table, that we had a wide view of what to expect. Some insights we would like to share now would be to be patient. Make sure always to contact Fred via email if any questions arise or to simply check the page he has prepared for you frequently. Fred updates it often so check it often. Fred has been very helpful, and obviously, successful. Take our advice, because of him, we had our visa accepted. Last of all, have hope. Be hopeful and positive in all aspects of this rigorous process. We simply cannot thank Fred enough and his services! Thank you Fred for all you have done, and will do for us! Engaging Mr. Wahl to assist us with our K1 and K2 visa was a great investment and experience. He is so diligent in everything and we had confidence that our visa package would be well received. Mr. Wahl operates a very efficient systems-based business. Each step of this significant process was made easy for us to follow because of Fred. He is amazingly quick to respond to every question and always provided answers with all the detail we needed. I can't imagine how anybody is able to navigate the visa process without having an expert to rely on. Mr. Wahl is an expert at this process and understands all the details. He prepared us well in the process describing what to expect during each step. He provides a tremendous service and the investment in his fee is of great value. I traveled 5 times in a year and a half to be with my fiance. The travel expense of just one trip is more than the fee paid for the services Mr. Wahl provided which certainly expedited our approval process. Thank you very much Fred for all of your help during this process. We want to tell big thanks to Mr.Wahl. What we like is: he does his job very fast and he definitely knows how to make the case successful. Also it was very important for us that he responded to each our mail/question within less than 1 day. 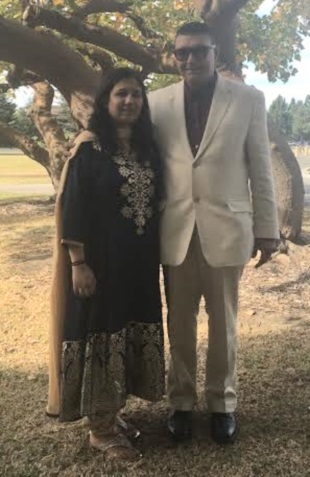 Both fiancee visa interview and green card interview went really fast and easy just because our papers were prepared perfect, nothing was missing, everything looked clear and easy to read. We gonna work with Mr.Wahl when removing conditions from 2 years old green card. We are lucky that found him! It is 9 may 2018 and I have just received my passport from the US embassy here in Beirut, with fiance visa issued on it. 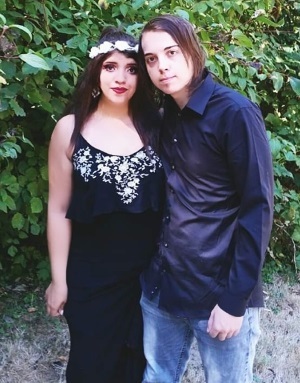 My fiancee and I are very happy and we are finally able to begin our life together in the US. When we started the process we had no idea how to start and what to do, we had no one to help us or give us an advice until we found Mr. Fred Wahl while searching on the internet and after watching his videos on internet, reading couples testimonies, and contacting him we decided to order his service and thanks for god we did. We were very comfortable all the process, Mr. Fred made this process very easy, we did not had to worry about anything. He was very caring, taking care for every detail, working in a very professional way. Mr. Fred used to respond to our emails as soon as possible, providing satisfied answers to our concerns and questions. 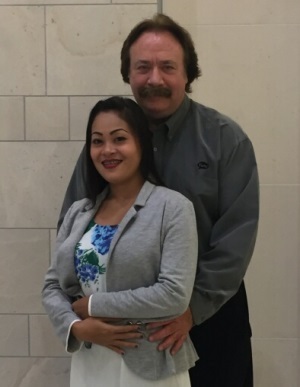 I recommend Mr. Fred Wahl to each couple who want to start their process and would like to submit a highly prepared, organized file to the USCIS. Finally we would like to say "thank you Mr. Fred for your effort and professional work"
The VisaCoach (Fred Wahl) provided a very satisfactory experience, successfully assisting us throughout the entire process of obtaining a K1 visa for my fiancee. One of the first things that impressed me about Fred was that his fee reflected only the actual work that he did on my case. I had initially prepared and submitted the I-129F petition myself, without help from anybody. But after reading all the subsequent instructions and requirements, the prospect of successfully completing the task myself quickly became overwhelming. So I decided to secure the services of the VisaCoach to guide me through the remainder of the process. I very quickly realized that I had made the right move. Upon checking my case status about 10 days later, there was a notice that my I-797, mailed to my address in Vietnam listed on my petition, was returned as undeliverable immediately halting processing. Fred gave me clear instructions on how to quickly get my case back on track. He said USCIS likes to see a petitioner's U.S. address on the petition, rather than a foreign address. I then submitted a change of address in their system to my permanent U.S. address. Very shortly, a new I-797 was successfully postal mailed to me, and processing resumed. At that point, a friend residing at my home began intercepting all correspondence addressed to me from Department of Homeland Security and faxing to me in Vietnam. From then on, I did not miss a beat, and subsequent issues were quickly resolved. During the period while waiting for USCIS approval, I inundated Fred with numerous e-mail questions. He always responded personally, promptly, courteously, and professionally. In addition, he maintained a continually-updated secure, password-protected personal information page for me that listed next steps and what to do while waiting. When an unanticipated request for evidence (RFE) came to me from USCIS, the VisaCoach was always there to coach me through exactly how to respond in the most appropriate manner to maximize the chances of the response being accepted. Fred first reviewed my responses, then added any required edits before forwarding them to USCIS on my behalf. My petition was then promptly approved within weeks. 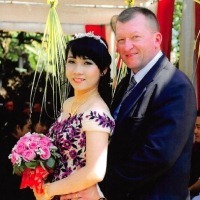 After my case was forwarded within a few weeks after that to the consulate in Ho Chi Minh City, Fred was there every step of the way to maximize my fiancee's chances of interview success. When the interview initially failed, Fred coached us in assembling the remaining requested documents. A new interview appointment was not needed. We only needed to return the requested documents to the consulate, after which she was promptly approved. In my case, the process from initial petition submission to final visa approval took 348 days a bit longer that previous average times. The timeline will vary from case to case, so some may will likely be resolved more quickly. Mine may have proceeded more quickly had I been with the VisaCoach from the start. However, Fred was always there working closely with us to resolve any difficulties to ensure a successful conclusion. 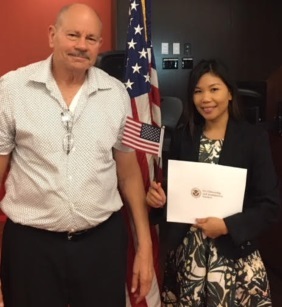 With this success, I now look forward to working with him again, this time in the application for her adjustment of status to permanent resident, and her full incorporation into American society. I watched Fred videos for months and already knew I would work with him when me and my fiance decide a date to file. He prepared us for the uncertainty and advised us on what could happen. 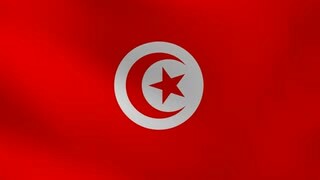 We had to deal with two different governments and having a major red flag so the process of course became very stressful. But when you have someone like Fred on yourself you become more optimistic and in turn our results happened in our favor. Thank you so much Fred now on to the next phase of this journey. 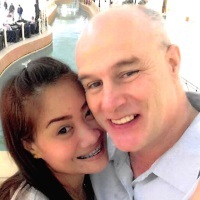 Thanks for helping get Loan her K1 visa. Your guidance was very helpful.To me the whole process was confusing. The USCIS website tries to cover every situation and was frustrating. After following your instructions for the petition I believe the interview was only to verify her identity. She was only asked 3-4 simple questions. I don't know how would I have done it with out you as my personal coach. It seems very simple, fill out forms and you are set, but There's many small steps that Mr. Fred knows, where his knowledge fills in all the blanks. 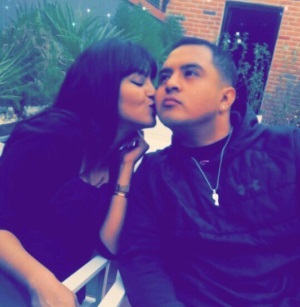 My fiance and I are very happy that are petition for k1 Visa was approved we still have more steps but I feel this was the most nerve racking. Specially after arriving at the airport for are interview at the consulate thousands of miles away from home and getting an email from NVC that are petition was yes send to the consulate and it would take several weeks to get there. We were shocked not knowing what to do. At the interview our appointment was at 9:15. We got there 30 minutes before with all the required forms. My fiance experience a smooth process till she was waiting to be interviewed. The interviewer officer didn't pronounce his question well my fiance repeat some of the questions back. She was only asked four questions her name, who was here fiance name, if she had tattoos, and when did we meet. Before she finished her answer the official interviewer said Congratulations your Visa is a proved. We are now going to wait and pick up the Visa here at the consulate. 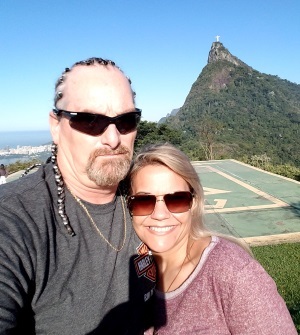 Deciding to have Fred Wahl help us through the K1 VISA Process has been legitimately one of the best decisions my wife and I have ever made. 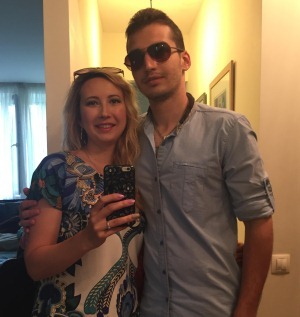 In October of 2016, I lived in Lebanon with Rachel, my girlfriend of 5 years at the time. I had just returned from a vacation in New Hampshire, where I am from. That vacation was the first time I had been home in a while, and it reminded me exactly of what I was missing living abroad. It was a rough decision to tell Rachel that my heart was in New Hampshire and that I wanted to go home. Her reaction changed our lives forever. She wanted to come with me and start a life together in the US. We had known for a while that we would one day get married, but we had not discussed where we would live. 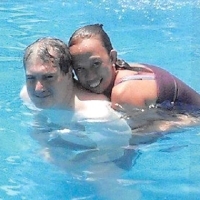 We began researching what our options were to allow Rachel to move home with me legally. 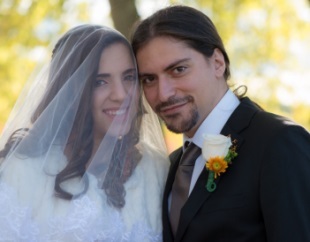 After some research, we had determined that the K1 VISA was almost tailor-made for our situation. Actually applying for it would be another story. 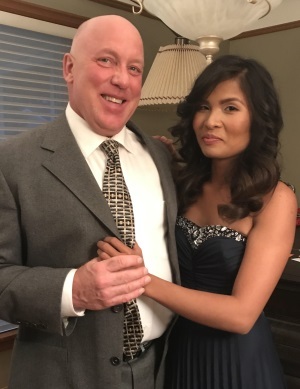 Neither of us had any experience dealing with immigration paperwork, and we both knew we could afford a lawyer if we were going to make the move and overcome all the expenses that came with that. After some more online research, we came across Fred Wahl who specialized in cases similar to ours. After attentively listening to our case, Fred laid out the services he could provide to help us apply the right way, and we never turned back. He has been as professional as he is honest, and he has given us a great deal of comfort and methodology through what would have otherwise been a painstaking process. 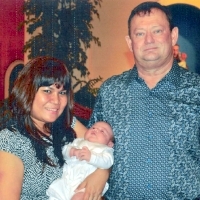 Rachel successfully received her K1 VISA. 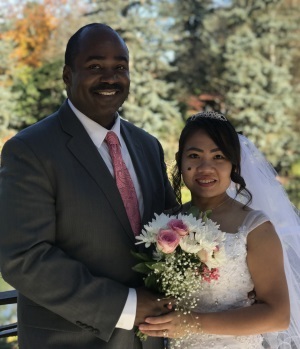 We got married in November of 2016, and knew we would work with Fred again for her EAD and greencard. 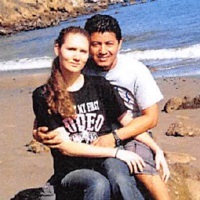 She has since received both, and we fully intend to be in touch with him again down the road to finalize the process ending in citizenship for Rachel. It seems surreal sometimes looking back at what we've done to go from a couple with a dream to husband and wife living that dream. Fred was unmistakably a vital part in that process, and we will forever feel indebted to his services. It is a great honor to share our stories and hope that we may affect other couples by suggesting that they work with Fred. Thank you (and Joyce) for all your guidance and professional assistance with my spouses K-1 visa and the 2 K-2 visa's for our 12 & 16 year old children. We decided to hire VisaCoach after I visited a local California law firm that specializes in immigration, and reviewed several blogs and stories from others that have gone before us. There seemed to be many choices however with such an important event, I wanted EXPERIENCE. And specifically experience in the process. From what I had read it wasn't really legal advice that I was needing. It was advice and help with the actual process. VisaCoach was clearly the correct choice since we are a legitimate couple and just needed to know the "ins and outs" of the process so that we didn't get delayed. We hired VisaCoach and it turns out that the fee was very reasonable for the amount of help, guidance, and answering of numerous questions at various stages of the process. Also, when I received the first email from VisaCoach, with detailed instructions for every application form, document checklists in various categories, hundreds of preparation questions, written expectations of timelines, etc. etc. this really confirmed my belief that VisaCoach was the correct choice. After meticulous preparation by Fred Wahl and submission to USCIS we successfully and quickly received the Visa approval. Filed in June 2016, (after 2 months of gathering documents, photos, translating birth certificates etc.) we received the approval for Interview in Sept. 2016, Interview date in Jakarta October 2016. Fiancee arrived in US December 23 rd 2016. 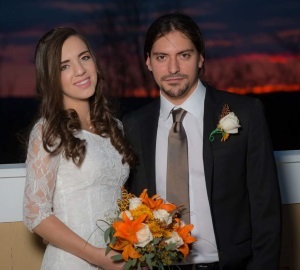 After getting married in February 2017, we hired VisaCoach immediately to prepare the AOS (adjustment of status, so that my wife and the kids could stay here in the US). Filed the AOS 3/22/17, Interview for Green Card 2/20/18. The interviewing immigration officer was very professional yet friendly and made a comment wow you guys are very organized and prepared. The interview was less than an hour for all three. (spouse and 2 children) We had our welcome letter in 3 days and all 3 green cards in exactly 1 week 2/27/18. Our day at the embassy, this is how it went. We walked up to the interview window, it was almost like walking up to a bank teller window. He said hello to me and said it's nice that you are here. Then he explained that he will be asking her the questions and I could stand next to her, but only she could answer the questions. Then she took her oath. Prior to us being called up to the window, we were watching others doing their interview. I guess they are being more strict with the whole process, because some of them were taking 15 or 20 minutes. And some walked away declined, others were asked to return with missing paperwork. But when Shelamite and I got to the window, we were confident. According to her watch, our interview took about 4 minutes from start to finish. I'm sure it went quick because of the excellent package you put together at the start, and also important was the continued relationship package I put together, following your lead. We want to shared our deepest happines, and shared our experiences during this event in our life. 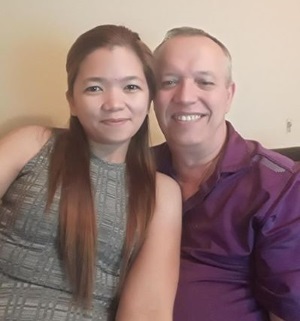 I am so pleased that my husband have chosen your service and as a result of your very organized, well detailed preparations and your very clear and precise step by step instructions in all our paper works which leads us to a successful immigrant visa approval! This saves us from all the trouble and stressed during the interview. Having said that... the key to a seamless and successful visa interview and approval lies on how well ones paperwork's are prepared. Fred was recommended by my friend from Texas he said he was great so we contacted him, he sure is right. 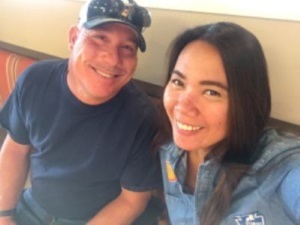 He has helped us from Ella's K-1 visa up to applying her Green Card and receiving it.Fred is professional in filling up the application and made sure everything is correct. He also made sure that we have all the right papers needed for the application. We have one more step and Fred will help us through getting Ella's citizenship. Without his and his staff professionalism we would probabaly not get through this process stress free. We highly recommend him for your immigration concerns and application. Thank you Fred you're the man!! Please allow us to share our great news today! We have no place to hide our joy & happiness! me, my husband Tyler, my son AJ and our 4-legged hairy son Gregory! - Thank you for helping us to make it happen. 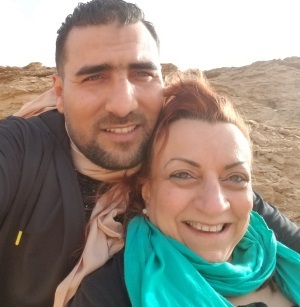 I am so pleased that my husband have chosen your service and as a result of your very organized, well detailed preparations and your very clear and precise step by step instructions in all our paper works which leads us to a successful immigrant visa approval! This saves us from all the trouble and stressed during the interview. Having said that... the key to a seamless and successful visa interview and approval lies on how well ones paperwork's are prepared. Therefore, we highly recomend your excellent service and rest assured nothing can go wrong but truly a dream come true for us! We appreciate your all time support and quick turnaround in accommodating all our questions each time we have doubts and confusions. Thank you Mr. Fred Wahl! Here are the photos that we would love to share the world! We are glad we found Mr. Fred Wahl on YouTube. We started the paperwork on our own but it quickly got very confusing and intimidating. All it took was a phone call and we got all the help we needed. He put a lot of time and effort in helping us get all our information gathered. The way he does his paperwork is incredible, very well informed and organized with good quantity and great quality of documents. He helped in making our dreams of being a married couple come true. His process and reminders are awesome. Right from the initial interview we could tell that having his coaching really helped. His experience enabled us to avoid all the red flags. We got our green cards without any interview and the green cards were mailed to us before the average wait time had elapsed. His help reduced the stress and anxiety in putting the paperwork together and also knowing the appropriate documentation needed. If you want your love story to have a happy ending and to avoid emotional stress you truly need "The Visacoach". Thank you so much, Mr. Fred Wahl. Before all i want to say thanks a lot for your help from the last year, for the first time i was so confused how the immigration process will be, because both of us we never had the experience to work on immigration paper, we heard about you from friend of us, then we decide to contact you for more information, it was the good decision because since we knew you, all our immigration process becomes like small cake, easy and fast answer from you for all questions we had, good organization for all papers and update us for all new things about immigration, from k1 until getting green card fred was with us all time, we wanna say thanks a lot for all your work and you are the good choice for immigration process, great experience with VisaCoach! Fred and the Visa Coach Team have been patient, friendly, and helpful during this arduous K-1 process. Fred was always available to answer any tricky questions along the way. He was very good at alleviating my anxiety on any unknowns with his extensive knowledge on the process. We didn't get a RFE thanks to Fred and his team's professional handling and presentation of our case. We highly recommend you get your case assessed by him to begin with for any red flags, and then work with him to make the most important process of your life go smoothly! 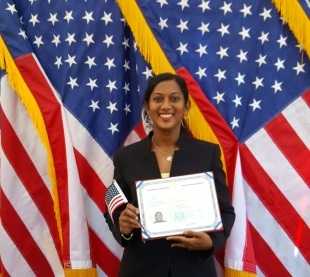 I am so glad I choose VISACOACH to help with my K-1 VISA process. Mr. Wahl is really good and educated about what he does. He had all the answers to my questions, and he is also really fast at replying to the emails and calls. I am so glad I picked up that phone and called Mr. Wahl. He explained the whole process and was very honest. The fees is very affordable and definitely worth it. I would totally recommend VISACOACH to all of those couples who are thinking about applying for fiance visa. Choosing Visa Coach is the best decision you can make when it comes to immigration matters for your loved ones. They made the entire process simple and always double check everything to verify there are no mistakes every step of the way. Visa Coach answered all my questions fast so there was no confusion at all. He really means it when it comes to making the process personal! I'm completely satisfied with his services. Don't hesitate and pick Visa Coach. I was guided while I was overseas in China and Visa Coach is always on call to work for you and your loved ones to make sure you all will be together. 6 months later after we started my wife is coming to the US! The embassy was so impressed with the package that they only asked my wife one question during her interview! 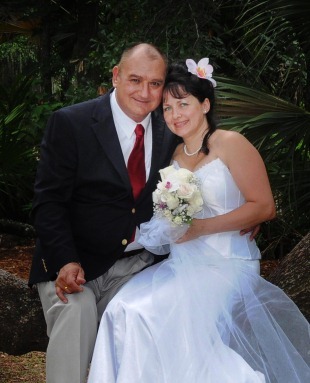 Thank you Fred for your help, in getting Marry to the United States. 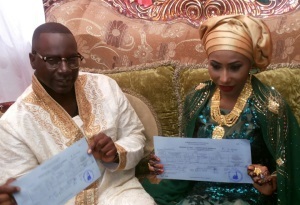 Your assistance have been phenomenal in helping get Marry to the United States. The interview only lasted about 5 minutes it was very fast and professional but we had a year for a medical delay and you was there to answer every question that we had. In my opinion you went above and beyond the Call of Duty. Thank you very much for everything you have done for us and we are looking forward to the next step the adjustment of status. I just got off the phone with Marjan and she wants to give you a big hug and a kiss when she sees you. She said they asked a lot of questions about age difference, my family and even tried to test her to see if I had told her about my incarceration. These people even read the chat messages that we printed as evidence of relationship and asked why you guys were talking about this and that. At the end, one of the two interviewers left and the other one whispered to Marjan "Be honest with me, why are you marrying him, is it for the Green Card?" She handled it well and was told to check your email in 2 days. 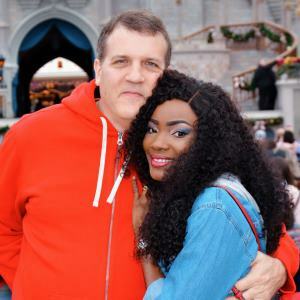 I contacted Mr. Fred Wahl for some advice about myself going to Dar Es Salaam, Tanzania to meet my fiance for marriage for the first time. After careful research online and pages of reviews and fees, I decided to become a client. First off the fees were reasonable compared to the kind of services I was getting. Secondly this man always answers the phone or email with any questions that I have. I would like to send a huge "Thank You" to His amazing secretary, every time I called, (which was a lot) she knew exactly who I was, and had correct answers for me. Mr. Wahl set up a private website with step by step instructions on how to get a spousal visa successfully. 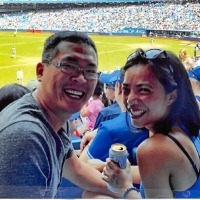 I applied for a spousal visa for my wife to come to the U.S., and from start to finish, Visacoach.com made me feel comfortable and confident about the whole Visa process. After a year, has passed my wife is now joining me in sunny California. Though the Philippines is a third world country slowing the process. Your steps went like clock work and all went well. We are now married and raising our daughter. I am sending our wedding picture. I can't thank you enough. We are ready for the final change of status to be completed. Hello Fred Wahl, We like to thank you for all your hard work. if anybody is needing help would love to send them to you Fred Wahl. We may have never met but your word is good you loyal and faithful to your work you don't just see your clients or people as money you help Zoom you never give up on them no matter how tough the situation is. God bless you and your family we give you many thanks to Visa coach. Again thank you for reuniting United me with my wife and son. Fred and the Visa Coach team has helped us tremendously from start to finish in our journey! I had read great reviews about Visa Coach and decided to contact Fred asap. Immediately! Fred and his team went to work with a front loaded petition, which helped out a lot in the long run. Every question we had Visa Coach gladly provided an answer. We had a one obstacle during our process, fortunately Fred and his team had it resolved in no time. Our visit to the US consulate was a breeze due to the great up front work from Visa Coach, that there were hardly any questions during the interview and my wife's visa was approved. I really appreciate all the effort and the hard work that has gone into our case that I highly recommend any one who wants a piece of mind during their spouse's visa process. Thank You Fred and the Visa Coach team for allowing us to have the privilege to be together in the United States of America. 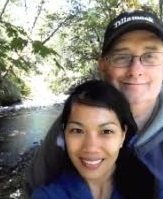 My fiance and I are so very thankful that we chose VisaCoach to direct us through applying for our K1-visa. The entire experience was positive and we passed through the steps quickly because of their expert guidance. 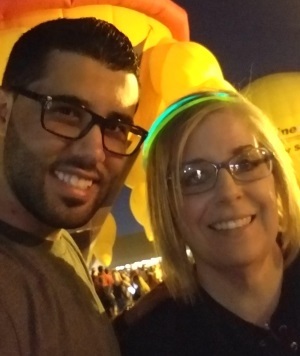 From the very first phone consultation to the time that my fiance bought his plane ticket, VisaCoach and his office staff supported us every step of the way. Everything was clearly structured and organized on our personal webpage. Detailed instructions for every application and needed document were thoroughly laid out. All of the answers to our questions were made available to us there --long before we even knew what our questions would be. Also important, Visacoach and the office staff were very accessible, via both email and phone. They also responded quickly and they even made sure to follow up with us each step of the way. 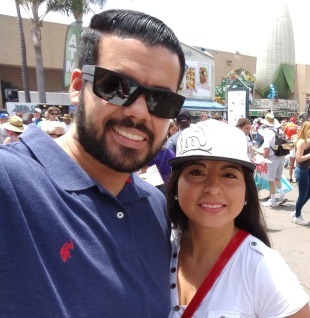 My fiance and I have greatly appreciated all of the time and help that we received from Visacoach. Because our experience was so outstanding, we decided to hire their services again and we are proceeding forward with our wedding plans and application for change of status. We are finally getting to have our life together now and we couldn't be happier! Thank you Visacoach! 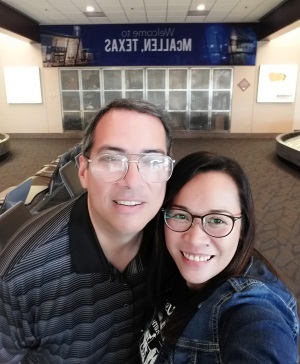 When we first started the K1 visa process, we were so overwhelmed by the amount of paperwork and the wait times for the different processes that we read about online. We thought we would have to spend at least a year apart and we were so worried that the approval would never come. Using VisaCoach really made the process so much easier and so much for comforting for us. Every step of the way was explained in detail and the appropriate information was always at our fingertips through Fred Wahl. We began working with Fred, compiling information, which took a couple months to get all our photos and documents in order. We submitted our package to the USCIS in mid December 2016. We received the approval on our case at the end of March 2017. Then our case was sent to the local consulate, where we scheduled the interview in the beginning of June. 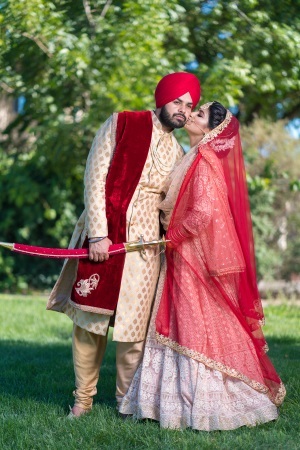 My fiance entered the US in August and we got married in September. I don't know where we would be without the help of VisaCoach. The processing time for all our documents was so quick because of the expertise Mr Wahl has in compiling the right information into the perfect package. We are very thankful that the process has gone so smoothly and we wish other couples the best of luck. 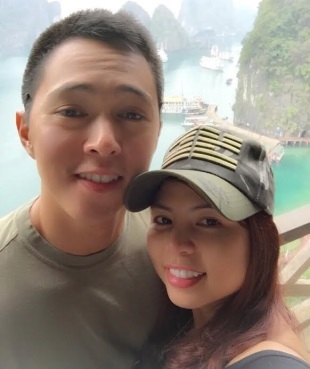 We just want to share our happiness after all the sacrifices we had during a long distance relationship. We can say that being far from your partner is so very hard. With the help of the VisaCoach we were so blessed and thankful that he helped us a along our journey through the K1 process. 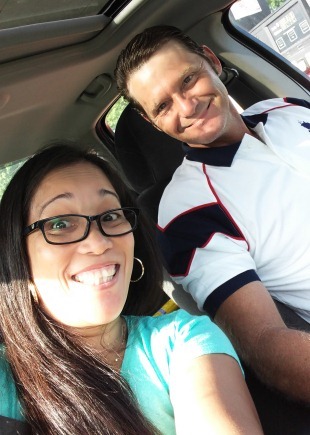 In just a few months, US Embassy Manila granted us the K1 Visa approval with the coaching of VisaCoach. Every time we had a question, he was there to answer our queries quickly via calls and emails. He also created a web private page for us. On the page we could see the compilation of documents needed in the process. It was well organized and made it easier to review periodically. Now, we're enjoying the beauty of life as wife and husband. Thank you so much VisaCoach and may God continue to use you as an instrument to help more couples reunite with their loved ones. I hope this email finds you and yours both well and of good cheer. This morning, as my wife and I were driving to a social event we began reminiscing about our courtship days across continents and how supremely pleased and surprised we were to be together. It has been 1.5 years since Karen flew here from Manila. We knew we had more than a few "red flag" areas and one which seemed nearly insurmountable, yet with your expertise it did happen. Your "beside manner" I may liken to one of the busy surgeon who more than makes up for in critical results, where pleasantries might be lacking a little. Karen and I want to once again acknowledge how good it was to have you working on our side through every step knowing that our best efforts to get a the Visa were being handled with experience and consistency of process. As the political focus continues to place downward pressures on immigration here in the United States, we feel it is even more important to have someone like you increasing the odds of the desired outcome. (to be together) We feel sad for this who may not have the chance we do and want them to know you are one of a kind. To this you may wish to share this letter with, we say "Pick the Best, most Experienced Surgeon!" Words cannot describe how grateful I am to have found the visa coach. My wife and I had talked to lawyers and looked at any website we could find regarding visas. The lawyers were expensive and gave poor advice and the websites were either overwhelming with the amount of requirements or lacking in detail. For these reasons, I began looking for help! When I first found the visa coach website, I was very skeptical. I figured it could be a scam or this was too good to be true. This most definitely is not a scam. I payed one fee of $750 and received help and advice through the entire K1 visa process. I had many questions throughout the process, and whenever I contacted the visa coach office via email or phone, someone always responded either immediately or within a few minutes. The visa coach and his staff are incredibly friendly and very helpful. During the process, the visa coach made us our own website to keep our documents organized. This was very helpful. He could post comments to the documents instructing us on what needed to be completed. He would also compose documents for us. Hiring the visa coach was without a doubt a great investment! It relieved the pressure and stress of trying to capture all the documents required and knowing what comes next during the long and arduous K1 visa process. The visa coach also gave us confidence when approaching our interview. You may read horror stories online, but we learned that if you are truly in love like us, there is nothing to be afraid of. The interview was less than five minutes. Do not be afraid! Just stay organized and make sure you are prepared with all your documents. 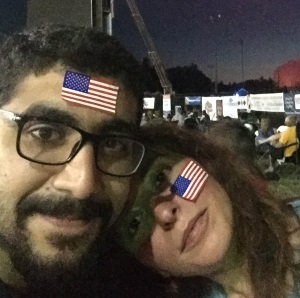 My wife and I made it through the K1 visa process! 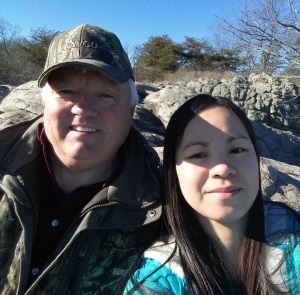 We are now happily married living in southern MD. We plan to hire the Visa Coach for the next step toward citizenship. The Green Card. Thank you again Visa Coach and staff! Wanted to let you know how thankful Kristina and I are for all that you did so we could be together. My advice to everyone is to have The Visa Coach help you from start to finish. After going through this process I would advise everyone not to try it alone. Mr. Fred Wahl did an outstanding job and handled everything just as he told me he would and the process went smoothly with no problems. Some of the best money I've ever spent. Thank you again. When I first started looking at the K1 process I felt pretty intimidated. There were a lot of forms and the petition and workflow seemed overwhelming. On top of that I was worried about IMBRA laws since we met online on a popular dating site and I wasn't sure if it qualified. When I first contacted Fred and knew he was the right choice. Not only did he answer my questions about IMBRA and had tons of clients who met on the same site Vera and I met on, but he knew exactly how to get the correct documentation for UCSIS and the petition from the site. I don't know how I would have gotten through the whole process without Fred. He walked us through the entire process and collated all the data and documents for us and created a petition package that was simply incredible. He answered every question I sent to him, including the ridiculous ones. Thank you Fred for helping us get through this! This is to say a big big thank you for helping me and my fiance pull through the K1 so easily and successfully. We both don't know what we would have done without you. 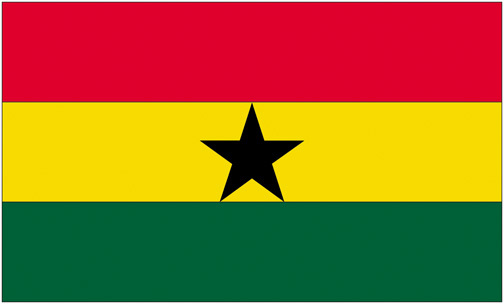 As a matter of fact Ghana is one of the most difficult consulate but with your front loaded petition my fiancee's interview only lasted under 2 mins. Before the start of the interview the consulate officer told my fiance "everything looks good" and that was a big relief for him. The Consulate officer asked my fiance only four questions and at the end of the interview, when my fiance was approved and he finally said "Thank you" to the consulate officer, the officer replied and said "no, don't thank me, because you made my work easy and I wish everyone will do same". We look forward in working with you again soon. Our K1 process was a lot more difficult than I would have imagined. Early on I had thought of going it alone. Had I done that I can foresee three very drastic mistakes I would have made which, thanks to Fred's advice, were not made. 3. I was going to book airline tickets back to the USA without the visa and Fred kept advising me against that as it would be too risky. As it turned out we had a two week delay getting our K1 visa and had I booked in advance I would have lost a lot of money on the tickets. Fred's visa strategy and thoroughness will just about guarantee your visa success. You will be a little frustrated by the great amount of detail he demands, but that is what spells success. Great thanks to Fred for making our dreams come true. Additionally, my wife felt a lot more confident knowing we had an adviser. First of all I would like to take the time to thank you Mr. Wahl for all that you and your crew has done to help Melissa and I to finally come together in the U.S. It was a long road and without your assistance we would not have been able to make it. Everything that you taught us and gave us as tools along the way was invaluable to the success of our visa approval. I can honestly say that we would not have made it without your help. If I could give any advise to anyone looking to do what Melissa and I did. I would say listen to everything the Visa Coach says to do. When we did have delays, and we did, he was able to direct us with the right information to put us back on track. One of the big things that I would have to say helped us was communication. Communicate with the Visa Coach and keep him informed of any problems or concerns. Communicate with each other frequently and often. Forward all documents that you get to the Visa Coach and make sure each of you have copies of everything. Like I said earlier, the Visa Coach gave us everything that we needed. I just wanted to drop a few lines to let Mr. Wahl and everyone who reads this know how appreciative I am to the Visa Coach for all that they did. 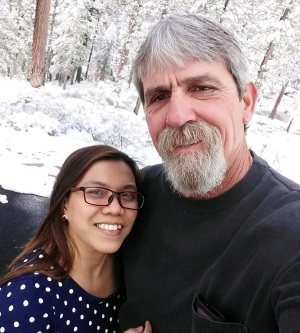 We purchased Fred Wahl's package for the "Front Loaded K-1 Visa Petition" to bring my fiance into the United States. When it was time, we also purchased Fred Wahl's "Adjustment of Status Petition Package." When it was time to remove the conditional status on my wife's permanent residency card, we again turned to Fred Wahl. My wife now has her permanent residency without restriction. I don't think I could have made it through the entire process on our own. That's why we turned to Fred Wahl, the Visa Coach. He was very professional throughout the entire process. We cannot thank him enough for guiding us every step of the way. He helped us put together a visa petition that made a strong case that quickly had us approved. I strongly recommend the Visa Coach for anyone who has to go through the fiancee visa process. Fred has made the difficult task very manageable. Thank you Fred. We appreciate all you have done for us. I just wanted to send you a quick email and let you and Joyce know how pleased I am with the level of service that has been provided thus far. I can say with no hesitation whatsoever, that the value proposition that your company offers is at the highest level. How are you doing. I just wanted to let you know that my citizenship ceremony is tomorrow. Me and Sherwin are very thankful for everything you have done for us to get my visa, to come to America and all the support you and your team gave us. Also wanna tell you that we moved from Texas to Los Angeles about 2 months ago. So if we get a chance we are thinking to come and meet you in person. Jhen, my fiancee went for the interview in Manila. He did what he said he would and more. He was always prompt, courteous, and patient with us, and helped walk us through what was a difficult process. He saved us lots of time too. 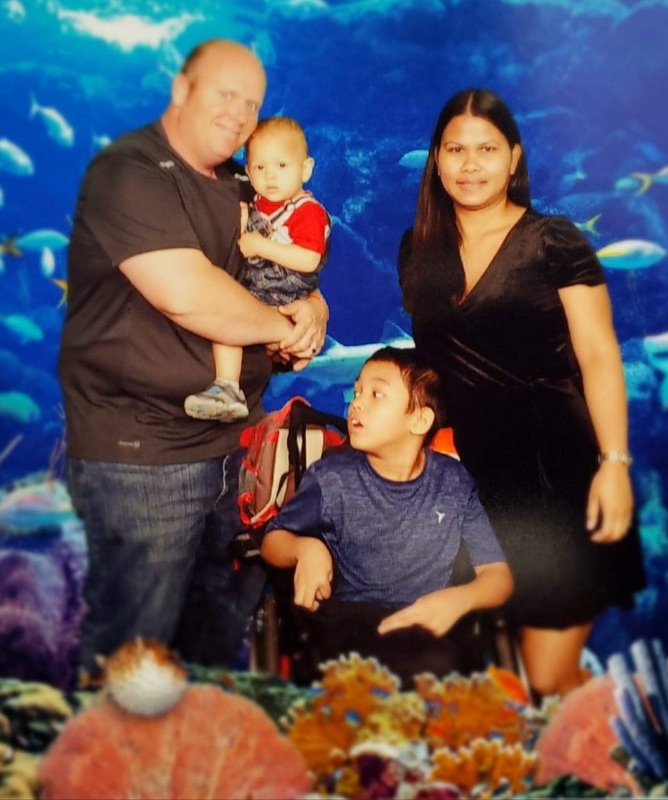 I think if we had tried to get the visas for my fiance Dascel (now my wife) and her two children on our own, it would have taken at least a year longer. The peace of mind knowing that we had Fred helping us was priceless. Dascel and I had a wonderful wedding and are very happily married. I recommend Fred, the Visa Coach, to everyone! 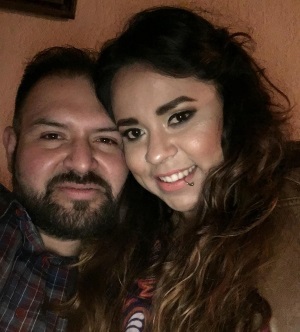 I am very happy that you are preparing my Fiance Visa package for me....when I was younger I used to work for Attorneys and I am well aware that they hand off their grunt work to Paralegals and Assistants. The fact that you are handling this for me like you have done countless times for others gives me utmost confidence in you. I just wanted to let you know. Thanks. Ricardo Just received his Email with his tracking number yesterday to pick up his Visa. He is picking it up today. I want to thank you so much for your help. I'm so excited, for him to be coming to America and for us to be starting our lives together now. I want to thank you from the bottom of my heart for all your help. Thank you again. and I will defiantly be using your help again for the adjustment of status and beyond thank you again so much. Working with Fred was amazing! You really don't know how much work it is and the tediousness until Fred sends you your shoebox. He does amazing work and is great to work with. The only "problem" or most difficult thing is waiting. It has nothing to do with Fred or how he works, it's just hard waiting and not knowing how the end result will be. I don't doubt any of Fred's work and would definitely recommend him to anyone. Also, his customer service, Joyce, is so awesome! The both of them write you in emails and can answer your questions. It's a comfort to know that the people you hire actually care about you and your loved one and want the same ending as you do! So, Thank you so so so much Fred and Joyce, for getting my loved one here! I want to thank you so much for your help. I'm so excited, for him to be coming to America and for us to be starting our lives together now. I want to thank you from the bottom of my heart for all your help. Thank you again. and I will definitely be using your help again for the adjustment of status and beyond thank you again so much. First of all we would like to praise God for what he has done in our lives! 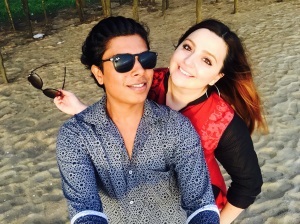 We met online 2013 filed 2014 for fiance' visa on our own. We completed this visa ourselves. 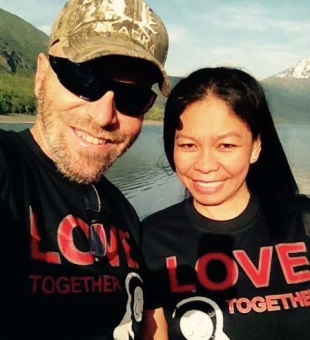 Mercy and daughter kaye arrived in Alaska March 2,2015 . 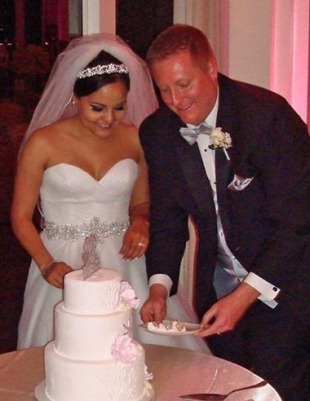 We married April 18,2015 .Then we began the process for Adjustment of Status. After many months we were denied. We hired an immigration Attorney to appeal USCIS decision after several months,and much cost we were denied again. We then discovered Fred Wahl visa coach. After consultation on the phone, we hired him to help us with the Adjustment of Status. Fred had some concern for our daughter who turned 21 before we consulted him. Fred is very knowledgeable and was upfront with us concerning this issue. Fred's company is very professional, always responded to our phone calls and questions. In hind sight we wish we had hired him from the beginning. She had her interview and everything went great. She'll get her documents in 1-2 weeks according to the consulate. We'll standby for any other steps moving forward. Thank you for everything!!!! We couldn't have done this without your help. My experience with Fred was quite positive. He was great at responding in a timely manner to questions regarding the K1 Visa process and about the documents needed as well as updating documents as the need arose. I can say that hiring him was a wise investment because it simplified the experience. I would highly recommend him. 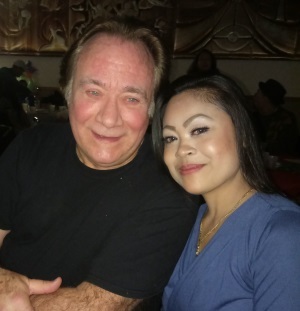 I wanted to thank Fred Wahl and his wonderful wife, Joyce, for helping me with the daunting task of getting a fiance visa and getting a green card for my wife! 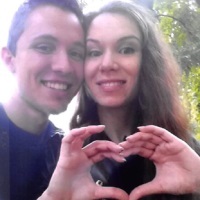 I met my wife, Iryna, in Ukraine and after some time we decided that we were right for each other and wanted to get married. The process of doing all the paperwork for getting a fiance visa is so much and so many details are needed. I am so glad that Fred helped us. He was available by phone or email and answered all questions and calmed me down anytime I was freaking out. He reminds us when something needs to be done... After getting married then we had to change status.. then apply for a permission to travel (advanced parole). Then we waited for green card. I can honestly say that the only hard part of this has been the waiting. The US government is not very fast in any immigration stuff... other than waiting, Fred made it easy. I had originally considered using an immigration lawyer but the fees were really high and Fred had many success stories and recommendations. Fred walked us through everything and he is terrific. I highly recommend him for anyone looking to have immigration help with paperwork or fiance help. 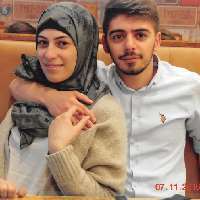 I expect that we won't need to do an interview very often because the paperwork we provide along with photos and huge amount of proof shows the people at immigration that we are a serious couple and just need to get along with our life. After hiring your services and supplying you with our initial "Shoe Box" of papers, I quickly realized the amount of paperwork/evidence, which I had spent a fair bit of time preparing, would have been "overkill" and not necessary had I continued the process by myself. The next major factor that re-confirmed hiring you was the best choice for us was the massive reduction in stress during the entire process. It is already stressful enough being apart from a loved one for an extended period of time. It was such a reassurance knowing the paperwork you prepared for us, was exactly what was needed for the visa. When either Heny or I had questions, your answers were a quick email away. You always responded in a timely fashion with concise and helpful answers. When it was time for you to prepare paperwork, you were always on time with a quick turn-around, as advertised. As a result of you being straightforward and thorough during our entire visa process, we experienced approvals at each step to be on the shorter side of time expected. 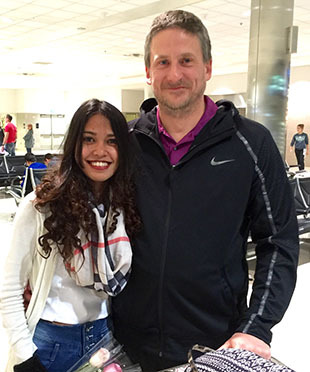 Heny received her visa in just over 8 months, when we were initially expecting 12 months. When it came time for Heny's interview, we knew we were prepared after periodically going through your list of potential questions. A testament to the quality of visa you prepared for Heny was a 4-minute interview with 4 reaffirming questions, asked concurrently while she did her biometrics "in and out". Heny and I are very happy and satisfied with the quality and timeliness of your work, so much so, that we have already referred your name to several others. Hiring you was money well spent, and we will definitely be asking you to help us again when it comes time for Heny's "Removal of Conditions". 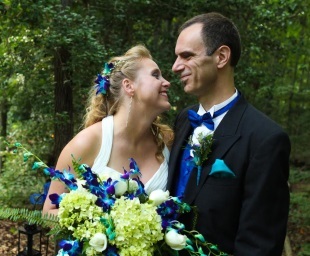 Thanks for all your help with our K1 Visa and Adjustment of Status/Green Card process. We especially appreciate your personal touch. The detailed approach you have and the "front loaded" petition are certainly what made this a smooth process. Once we had made the decision that we wanted to bring our lives together, and bring Christine to the US, we contacted you. With your help, the process worked out right down to the very time line that we had planned. There was no stress or worry, knowing that we had provided more than enough information to the government. This allowed us the time we needed to focus on our relationship and lay the foundation of a solid married life together. Christine was even approved for AOS without the need of an interview. We are now fast approaching the timing to file for Removal of Conditions and look forward to working with you again! Thank you so much for taking the stress out of this adventure and helping us to achieve our dream of being together. Thank you Thank you Thank you. Ana and I are soo excited on getting our K1 visa approved. We could not have done it without your help. All the documents that were required n the presentation package that you put together really made our chances greater, than if we did it ourselves. We thank you for all your dedication n countless hours you give in helping couples be together. I don't think I could have made it through the visa process on my own. That's why I turned to Fred Wahl, the Visa Coach. He is a true professional. I can't thank him enough for guiding me every step of the way and putting up with my many anxiety-ridden questions. He helped me put together a visa petition that made a powerful case for bringing Anastasia and I together. 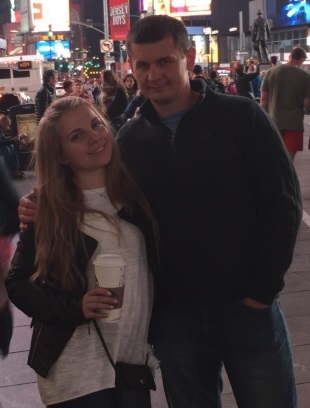 In the end, Anastasia's visa was approved and we are now happily married living in the US. I strongly recommend the Visa Coach for anyone separated from their loved one who has to go through the fiance visa process. Fred has made a seemingly difficult task manageable. Thank you Fred. I appreciate all you do. Uday and I want to thank you very much for everything. We are very grateful to have found you and to have gone through the immigration process with you. 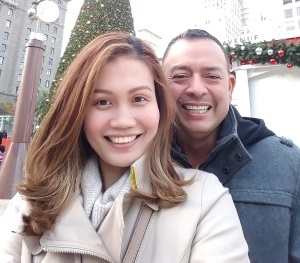 Right from filing for the K1 Fiance Visa until the Green Card process we have been together and it's been a stress-free process. Now that we have received our green card we would need your guidance for the next part of the process as well. We are not worried about the next process as we are confident that you would help us through and guide us with all the necessary paperwork and documentation. You are truly an expert with the immigration process and want to thank you for keeping us updated with the immigration updates. Sorry for not emailing you sooner but my wife is home. You are always there for us no matter how long it took. Thank you Fred for helping us out and always being there for us. Fred I want to thank you so much for the great job you did for us. I will recommend you to anybody that needs your service. I couldn't have done it without you. Thank you very much Fred from both of us. My fiancee and I are so happy that we found and utilized your service. It turned a long and complicated process into a low stress situation. Many time, we would see others face lengthy delays for extremely minor mistakes while our paperwork went through without any problems. It was the interview, however, which showed the value of the front loaded petition. My fiancee's interview was less than five minutes and the official asked her just five general questions. They did not need any more information beyond what was submitted with the petition. Thank you so much Fred for all you have done. When Ivy and I started this process, we had no idea how much actually went into this. You stepped up and and gave us detailed information from day one till the very end of this process. Always so professional and helpful everytime i called or emailed. Your response time to our emails was amazing. We never had to wait around for answers, you were very quick to answer all of our questions. We never could have made it through this process without you!! Thanks again Mr. Wahl, VisaCoach has made all of our dreams come true. I highly recommend you to everyone and anyone who is considering starting the fiancee petition. Fred is the most trustworthy visa coach. He has full knowledge to help you in each every steps and he is always there to answer your question and help you to reach out what you have expected ! And he is always successful, we are so grateful and happy have him beside us as our visa coach Up till now that I get my residents card, we will work consistently with him till my lovely wife gets her citizenship. Thank you for all your help in getting my wife here and getting us thru the visa approval process. Thank you very, very much for all of your hard work. I purchased Fred Wahl's package for the "Front Loaded K-1 Visa Petition" and also the "Adjustment of Status Petition Package." My fiancee from China and I were very glad we did. He coached us every step of the process. He helped us by letting us know exactly what to do and he prepared a very professional package of all of our documents to submit to start the process. 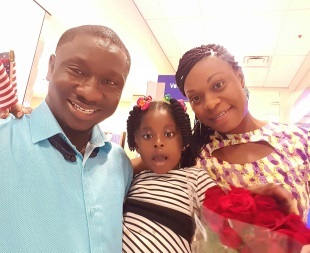 He then guided us every step of the way from submission, thru the consulate interview process, getting her visa, travelling to the U.S., getting married and getting thru the Green Card interview! He really did a great job getting everything together for us and I cannot recommend his services highly enough! We will use his services again in 2 years to "Remove Conditions on Residency". Just over a year ago Rachel and I decided that we wanted to get married and live in the United States. What we wanted was clear, but the paperwork and process we needed to tackle was far from comforting. 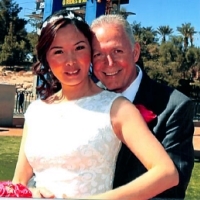 We both believe that we are very fortunate to have come across Fred Wahl as our immigration consultant. Fred broke the process into conceivable parts taking the stress out of the journey and was both helpful and accurate in his guidance. He always welcomed our questions and gave us a truly personal experience that ultimately made our dreams a reality. We just got back from our Honeymoon and we can honestly say that we could not have done this without Fred. Our applications were crafted to perfection, Rachel was ready for her interview, and we can both look forward to our future together thanks to service he provided. I urge anyone that feels like the task at hand is daunting to seek help from Fred Wahl. Good evening Sir, first of all I would liked to thanks The Lord God Almighty for all that He has done for me and my family. Then I would liked to give thanks to Mr. Wahl for all his advice, guidance and assurance, now my Wife and daughter are finally here with me safely and sound in Dallas, Texas, USA. Thank You! Throughout the process, simply knowing that your experience would help the interviewer trust in our sincerity helped lesson our anxiety immensely. Effectively front-loading a petition is no joke! J On her interview day, my fiancee saw so many applicants walk out of their interviews in tears. She, on the other hand, left with a big smile on her face after 5 minutes! Thank you so much from the bottom of our hearts. Thank you very much for your help. We are very happy now and really appreciate what you did to bring us together. You made this complicated process much easier and understandable. Preparing front loaded petition and guiding us through the whole process made the 10 minutes interview in the embassy just a formality. Fred .Thank you for all you did on are k2 visa and are AOS everything went very well in both cases. For me anything that causes less stress is best, I have 2 friends that did this same thing on their own and in both cases they were asked for more information and in one case the k1 process took almost 2 years to get finished due to errors. At our K2 and AOS interview the caseworker was able to see everything at a glance. Everything was in an order that they had wanted it, so fast so easy and no stress. Also thanks for your fast replies to our many questions during this whole thing. I don't think there is another person that would answer a person's phone calls and emails so fast. In fact I can't think of one time it took more than a few hrs to hear back from you when I sent emails. Even on sat and sun and all my phone calls were always answered. So again many many thanks to you and Joyce. Boa noite Fred,,, Antes de mais nada quero agradece lo, pelo teu trabalho excepcional.Dias antes da entrevista estava muito ansiosa,ao mesmo tempo confiante, foi tudo muito tranquilo, Todos muito educados e atenciosos na embaixada.Fizeram 3 perguntas, foi muito rapido. recomendo todos casais que estao pretendendo se casar com estrangeiros, que procure Fred, ele nos transmite confianca e competencia. 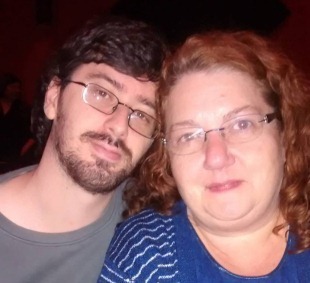 Muito obrigada por tudo, eu e Michael estamos muito felizes. Good evening Fred. First of all I want to thank you for your exceptional work. Before the interview I was very anxious, at the same time confident, everything was very peaceful, All very polite and attentive at the embassy. They asked 3 questions, it was very fast. 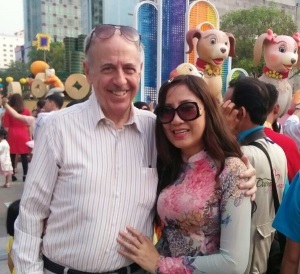 I recommend all couples who are intending to marry foreigners, look for Fred, he imparts us confidence and competence. Thank you so much for everything, Michael and I are very happy. Mr. Wahl and Visa Coach did a fantastic job putting our K1 petition and waiver request together. Evangeline and I are delighted to have been approved in less than 6 months from submitting the petition. Our petition told our story so well that Evangeline's interview was very quick and much easier than she believed it would be. I know Mr. Wahl's help and hard work putting our case together was a big factor in the approval. Mr. Wahl was always quick to answer any questions and address any concerns we presented. I highly recommend his service to any couple as he explains the process and the steps along the way in a very easy to understand manner and is always there to help in real time. Thanks again Mr. Wahl and Visa Coach for the wonderful service! Thank you so much Visa Coach, Mr Fred Wahl!!! Thanks again for taking the time to accept or return every phone call and e-mail from me, and for all of the moral support!! You truly are the best in your business! 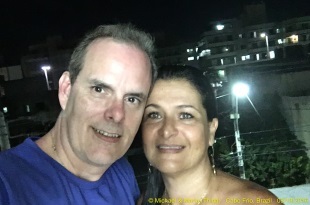 My wife and I are very appreciative and very happy again for your help in getting us approved for her green card and throughout the entire adjustment of status process. 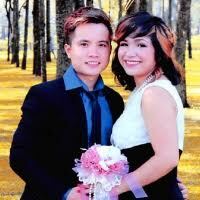 We were confident from our previous experience in using your services for the fiance visa we would be approved. When you have such a winning formula and proven track record such as your front loaded petitions you don't mess with success. We followed the direction you provided us and again we were approved. For those of you on the fence as to Fred's methods and services, let me advise you from our own personal experience, Fred's methods and services WORK!! You can spend thousands of dollars for a high priced solution OR a fraction of that and achieve better results using Fred's services. I want to relate our experience during our adjustment of status petition. First, Fred provided us with all the information we needed to provide and to what extent we'd need to gather documentation, proof of relationship, photos etc.. Basically everthing we should bring with us to the interview to seal the deal and convince the interviewer our relationship and marriage was bonafide and legitimate. The entire interview lasted less than 30 minutes. The one thing I advise is not to feel nervous during the interview. If you have a legitimate relationship, there is nothing to be worried about. With Fred's help and preparation, we felt confident in our ability to ace the interview and we did. Once again Fred, thank you for all you do in helping folks like us successfully navigate the Fiance Visa and Adjustment of Status process. You have a great service and we will be looking to your service during the Removal of Conditions process when it comes up in a couple of years. 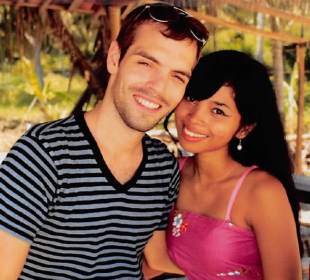 When I proposed to my wife in Thailand I knew the road to bringing her to the US would be complicated and that I'd likely require professional help. It wouldn't surprise me to hear that people have fainted when they found out just how complicated the process is, and how expensive professional help is. In speaking with professionals I can't say that I ever really had a clear sense of what would be done for the fee, which was generally in the low to mid 4 figure range. The only thing that was absolutely clear to me was that I did indeed need help. Thankfully, I found Fred Wahl at VisaCoach.com. Fred is not a lawyer, and doesn't make any representation as such. 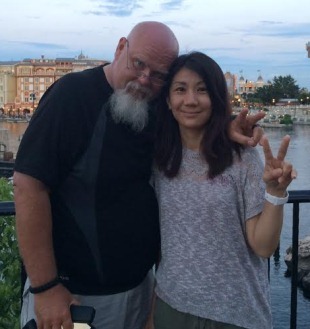 He does however do this for a living, and deals with Visa petitions for potential spouses from various countries with a high degree of success. I read the explanations and saw the videos about the front loading method that Fred uses to petition the USCIS and felt completely informed for the first time. His fee is also very reasonable. So I pulled the trigger, and I'm so happy I did. Fred's checklist of information to be gathered is very thorough. You do the work gathering everything. Before you think that that's what you're paying a professional for realize that you'd have to provide the same amount of information to anyone you'd pay to help you anyway. To be sure the documentation required to provide the USCIS with everything they could want and then some is extensive and time consuming to put together. I spent 1 to 2 hours every night after work for 3 months putting the petition together. This included nightly Skyping my fiancee to explain what I needed next, getting it translated, gathering family information (which in the Thai culture can be quite convoluted) and generally inching my way to a petition ready to go. In the end the paperwork was 4 inches high I took a photo of it! Then there's the American Embassy interview in Thailand. When I went there for that I had to have many of my documents translated into Thai. The expense of which only served to bring home to me that Fred's fee is extremely reasonable. 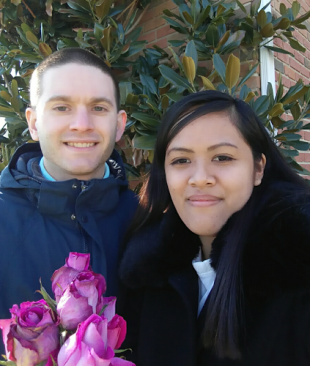 Everything went smoothly, and my fiancee got her K-1 visa. She came to the US and we were married 15 days later. I can't describe the feeling I had picking her up at the airport. Wow, she's actually here! Just prior to her being here for 2 years we once again used Fred's services for the Removal of Conditions application. Once again I assembled documents based on Fred's checklist, sent that all to Fred, and got back an application worthy of photography. We got the appointment for her biometrics (finger printing and photo) and she was told that the usually required interview was waived her Permanent Resident Green Card will be arriving in the mail. That was today. That photo of us is immediately after the biometrics in front of the immigration office in our town. I urge you to use Fred Wahl's services. His method works well, he's very reasonable, and he's available to answer your questions. Everything I've done using him went smoothly, and I'm happily married to a woman who now has permanent resident status. There's no question we'll use Fred when we decide it's time for her to become an American citizen. Thank you, Fred, from the bottom of our hearts. We want to say thanks to Mr. Fred Wahl for a great job on filing our petition! He helped us to avoid time loss with filling out boring forms, possible mistakes and unnecessary stress. It took only 5 months before the interview in a US consulate was appointed, the interview lasted less than 5 minutes. The result: K-1 visa is approved! And this is with all our red flags! He is very personal, professional, easy to communicate! I highly recommend Fred Wahl for everyone who is looking for approval of a visa!! When I first met my husband I knew he was the one I would marry. But I knew the lengthy process it would be to bring him home with me to America. But I was determined and along the way I met you Mr. Wahl, that made the process and anticipation much easier and faster. After only 6 months my husband was on his way to me & I couldnt believe it was actually happening! & Its now a year later and I couldnt be happier! :) We're going now on almost a year or marriage, a home in just a few short weeks. Lord only knows whats in store in the near future. We were totally stuck after NOA2. Our case had sent back to USCIS after NOA2! We asked and called USCIS, NVC, lawyers etc. but we couldn't get any good answers. Then my husband found Visa Coach and called him! He said he was really nice and professional but he didn't know if Visa Coach could accept our case because our case was stuck in between USCIS and NVC. But I asked Mr. Wahl and he was our only hope since we didn't know how to proceed. He gave us prompt advice and led and guided us so soundly! After we asked VisaCoach, everything went smoothly and we finally received our visa!! We really couldn't have done without him and we don't know how to express our thanks!! Thank you very much with your help on the package. It was much better assembled than our attempt on our own, and much more nicely organized, as well as helpful that it preemptively addressed IMBRA questions, which appear to be a popular source of RFE delays. Having your review and direction for filling out forms was very helpful. 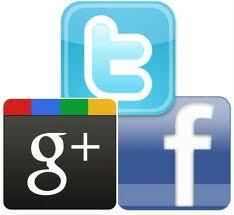 We are very happy with your services, we couldn't ask for a better person to this than you. You walk us all the way from the first step to the end of it. Your knowledge of the process make it look easy but is not and people might get confuse but lucky for us we got you on our side. We are a very happy couple as a matter of fact we are pregnant of a baby girl. I can't thank you enough for all you did. Our experience in the adjustment of status process went great. Although we hit a bump along the way, Mr. Wahl was able to help us clear everything up and take care of all the paperwork needs quickly. 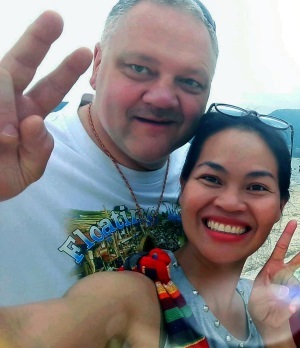 We processed everything from the beggining including the fiance visa wich was also quick and the process went smoothly with the help of Mr. Wahl. We are now happily together after all this time and glad we received assistance from the VisaCoach! We are extremely grateful for having him as a guide in our journey to finally be together with no barriers! In the mean time you should know that our "actual interview time" was under 15 minutes. The lady that interviewed us did not ask many question. In fact less then five or six questions in total. One of which was who did the cooking in the house which ended up with a delightful conversation for my Sutisien about Indonesian foods and how she cooks. I am telling you this because I truly believe that the central reason why the interview questions was so few was because of the detailed information on how you put our AOS petition together. The interview was more or less just a "confirmation" interview then anything else. She just basically just verified the information that was in the petition in front of her like living address and phone numbers. I thank God and I thank you for this success. This was truly a team effort. Thank you Fred Wahl for your excellent work. Thank you for always being true to your word. You have truly helped in making my beloved Sutisien happy. We were so blessed and very grateful for all your effort and the preparation until my wife arrive here safe and sound. 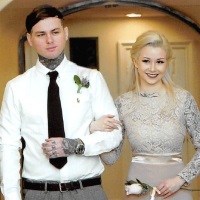 We are pleased that doing those paper work the entire year since the time of wedding and the start of Our petition process you have been doing the best for us to get reunited here in Alabama. We started,last May 2015 and she arrived safe here last June 15. We are both happy that It's been a good year for us since she was here on my birthdayand can't believe my eyes. Shirleen is here and waking up in the morning and arriving from work she is there waiting. I let her feel comfortable and the most happy wife. And she already meet up my family and celebrated her surprise welcome party. 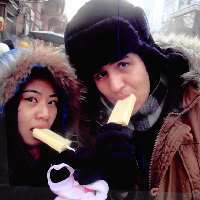 And also she met her Filipina friend ?Maribel wife of Brent. She was so happy meeting everyone in the family. I'll definitely need your services again when it's time for my step son to do his petition papers.we are strongly satisfied for the services and will highly recommend it for some friends in the future. Thank you so much Sir Fred for your big help with your step by step instructions that we followed from the beginning that leads us to successful interview. Me and my fiancee is very happy and thankful we both decided to stay with your very good service. I hired Fred Wahl after researching alternative consultants. The price was higher, but I decided on Fred because of his many years of experience and I remember he said he has a 100% success rate. 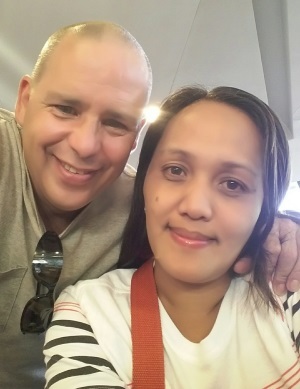 On my last trip to the Philippines to bring my wife home, I met another man who did not hire a consultant. I am not sure the exact reason of the delay, but he had been trying to bring his wife and daughter for a long time. He told me the visas were finally ready: He was on his way to pick them up and was very excited. We exchanged contact information and I subsequently learned his trip did not go as planned. He had one final obstacle and will now make a second trip to fetch his wife and daughter. The cost of a mistake is so high in terms of money and time. That is why I hired Mr. Wahl. The whole process is complicated but was made easier for me with his assistance. The petition and mini petition Fred assembled were reviewed quickly and without issue. The personal website he made for us and personal instructions were helpful for both myself and my wife. She is now in America and we are ready to start our lives together. We had no idea how to begin this process until we found Fred. He and Joyce were always there to answer any questions we had. We really could not have done this without them and they made this process so much easier. Thank you so much for the amazing help. We look forward to working through the next steps of AOS with you! There was a long wait time before the actual interview (about a 45 minute wait), but once the interview started it went really smoothly and it only lasted for about 5 minutes. The interviewer was very friendly and he didn't make me nervous. We would like to thank you for helping us through the entire process. Helping us through the paper process and interview process has helped us reduce any additional stress that we had. The process went as smoothly as possible and we're very thankful. Visa K1 is really complicated and frustrating process but with your high knowledge and experiences you made it understandable and organized with your strong management we could pass the interview and get the visa k1. Elisa and I where married on Saturday. We are on our honeymoon in Hawaii we will be back on Monday. Thank you for all your help making our dream come true. Hello, Mr. Fred Wahl. I would like to thank you for helping me and Shawn with the process. My interview yesterday went super well, and it was not as difficult as I thought, We had no idea how to start the whole process, but with your help everything was extra easier. I'm really happy it is finished now, but I remember the begnining of everything and the caring you had on preparing our documents, everything looked super good. Thank you for making easier our process! Hopefully we see you again for the AOS! Once my husband knew me, he started looking for information how to get me to USA . And he chose your service . I remembered I argue with Him why not chose services in Vietnam. And he still insist with his choice. Now I must to tell that That is the best choice he had ever made. 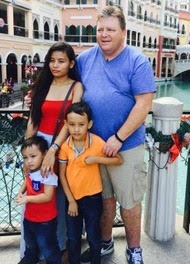 Your service help my husband get a waiver from problems with his past .that scared us that Uscis might deny our K1 application. I passed my visa interview . And then after you helped us apply for green card we did not have to interview it was waived. And I just got my green card . Thank you so much Fred. Gloria went for her interview at the embassy today and completed it successfully. Gloria had extensive paperwork with her including the updated I-134 and all supporting documentation as well as all the other documents that were required. However, the package you put together for us was so comprehensive and so well prepared that after reviewing everything he didn't ask for anything else and had absolutely no questions for Gloria. Based on everything we've learned, the "interview" went much better than our wildest dreams. The money we spent for your services was our best investment ever! We are delighted with the outcome. Thank for for your help and advice, we are very pleased. We would like to give a big thank you to Fred for all of his help. He was always there to answer our questions and made this stressful process much easier. We came to him with a red flag situation, with his help of creating such a great front loaded petition the red flag was not even questioned at the interview. We went to the interview together and we could tell that they had already made up their minds because the interview only lasted 10 minutes at the most. Thank you again Fred for helping us come together. I am so excited, happy, and grateful for having Fred handle my fiance visa case. Fred is extremely knowledgeable in fiance visa cases, he pretty much explained all process to us, answered all questions and concerns we had. The entire process was stress free, and my fiance was in USA with me after 5 months. I highly recommend his service, trustworthy and affordable.? Since this was my first time dealing with US Immigration it was a very intimidating and time consuming but Fred had a well organized system that led us through the entire process smoothly without any hitches. If I had any questions, Fred always quickly returned the call or emailed back the next day. He left no stone un-turned and it was smooth sailing from the start. Fred was very thorough and went over and above to show us what was required from us to show as proofs of our relationship. When we went to our interview I admit I was nervous, but Fred's professionally organized documentation made it quick and easy for us to prove everything the Interviewer wanted to know. Fred provided all our information in an orderly systematic legal document style format with index tabs that made it easy for the interviewer to find exactly what he was looking for and we coasted through the interview in just 20 minutes. 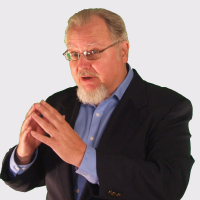 Fred even provided us with sample hypothetical questions that might be asked of us which my wife and I studied, and when it came time for the interview, we were confident and had no surprises. Everything went very smoothly. Fred not only delivered what he promised, he over delivered! I highly recommend Fred's service. He is a true professional at what he does. The money was well spent. I have no regrets for hiring him. I would not hesitate to use him again in the future. Thanks again Fred for helping us through the process. We owe you our thanks and gratitude. Hi Fred! Just a quick hello. I wanted to thank you for all that you do for me and Iryna. .. your job is so important for a lot of people and we really appreciate it. Couldn't imagine doing it without your help. VisaCoach was a great help throughout the whole process. We both feel it would have been impossible to get through this without him. He was there for us anytime we had any question and always responded in amazing speed. Visa?Coach is very professional and his front loaded petition is incredibly detailed.I've already recommended him to a friend of mine and would highly recommend him to anyone going through this process. Thank you very much VisaCoach! Thank you for the last 16 months of help negotiating the confusing government labyrinth necessary for a K-1 visa for my fiancee. When we asked for explanations your answers were clearly explained and thorough. You provided timely advice and we certainly do appreciate it. I honestly don't think we could have successfully completed the process without your guidance. I highly recommend your service for anyone applying for a fiancee visa.